What you need to know to make an informed choice. These graphs are isomorphic, even though they look much different. For starters, they both have the same number of nodes with each node containing the same number of edges. They are isomorphic because each node in the first graph maps to a corresponding node in the second graph while maintaining certain properties. For example, the node A can be mapped to node 1 while maintaining its adjacency in the second graph. 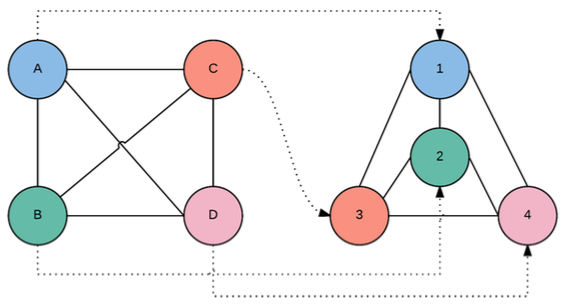 In fact, all nodes in the graph have an exact one-to-one correspondence while maintaining adjacency. Article image: An optical flat (source: Wikimedia Commons). Maxime Najim is a Software Architect at Walmart Labs. Prior to joining Walmart, Maxime has worked on software engineering teams at Netflix, Apple, and Yahoo!